Recently a Reddit Post gained online traffic after detailing a tree-care fiasco. This is what went down: after an initial meeting with a tree care company, the Redditor received a quote in the mail. Deciding it was a little too expensive, he did not sign the quote. Several days later, he came home to workers hacking away at his family's beloved wooded backyard, which was not even the job that was discussed. An event like this causes bad word of mouth to spread about said tree care company who will also have to pay legal damages. Unfortunately, incidents like this are not rare in the green industry. Without a sophisticated system of detailing and tracking jobs, businesses may go to work on a job all wrong or even worse -- start a job they don’t have. So what can a green industry business do to stay organized and never have a mistake like this? Job Workflows. Leads are the first stage of a job. This means there is potential for a job, but the customer has not been met with to discuss the extent and details. The next step is giving the customer a proposal or estimate. The proposal must be accepted by the customer for work to begin. In the Redditor's case, since the estimate was never signed, work should not have commenced. Tracking a job through each stage of it’s lifestyle ensures a lead or proposal isn’t considered an active job too soon. There should never be any guess work when it comes to the status of a job. Automate Business Operations. It is obvious that the tree care company did not mean to make this mistake. The owner, who the Redditor met with, was confused and very sorry about their mistake. It is possible the owner remembered the initial meeting wrong or got it mixed up with a different one. There is a much lower chance for human errors when operations are automated. A software solution makes sure that a crew is not being sent to job site unless their system tells them too, no matter what might have been misremembered. Job-Site Mapping. Perhaps the worst mistake the tree care company made here was that they took down about a dozen 40 foot tall pine trees the family did not want removed in the first place. Mistakes like these are not uncommon in the industry. Many times, instructions from hand drawn maps and written notes are lost in translation with the crew. Job-Site Mapping is a great tool to communicate better with crew members and the client. 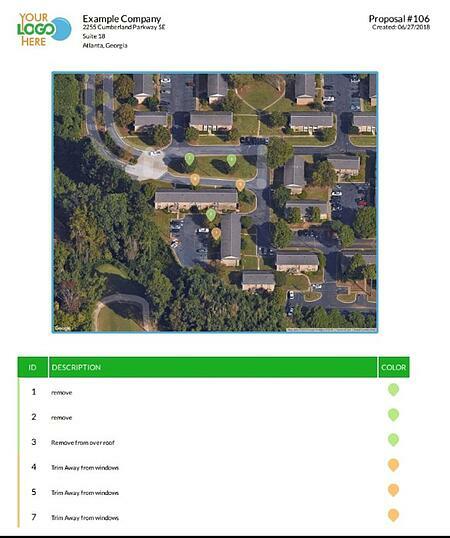 The software feature allows you to drop pins and leave notes on a map of the job-site, ensuring that the right trees are removed. Would you like to learn more about a software that organizes and tracks jobs, along with job-site mapping and so much more? Schedule a FREE DEMO with SingleOps today!